CCRM Australia is fostering the development of students and early career researchers in Regenerative Medicine to become industry ready and engaged with a global network through its Training and Development Programs. CCRM Australia’s Training and Development Programs provide unique opportunities for Australian PhD students and early career researchers. When discussing the programs, Silvio Tiziani, CEO of CCRM Australia explained that “one of the differentiators is that our programs offer an international perspective on commercialising science and our participants benefit from the experiences of mentors who have worked in regenerative medicine on the global stage.” These programs allow participants to benefit by developing skills for greater professional readiness beyond academia. The growing Australian regenerative medicine industry also benefits, with participants incorporating their learnings gained from their experiences and sharing with their peers. CCRM Australia’s 2018 flagship training programs included the International Workshop Placement at Summer By Design (which has returned for 2019) and the CCRM Australia’s collaboration with the Industry Mentoring Network in STEM (IMNIS) on the Regenerative Medicine International Mentoring Pilot Program. 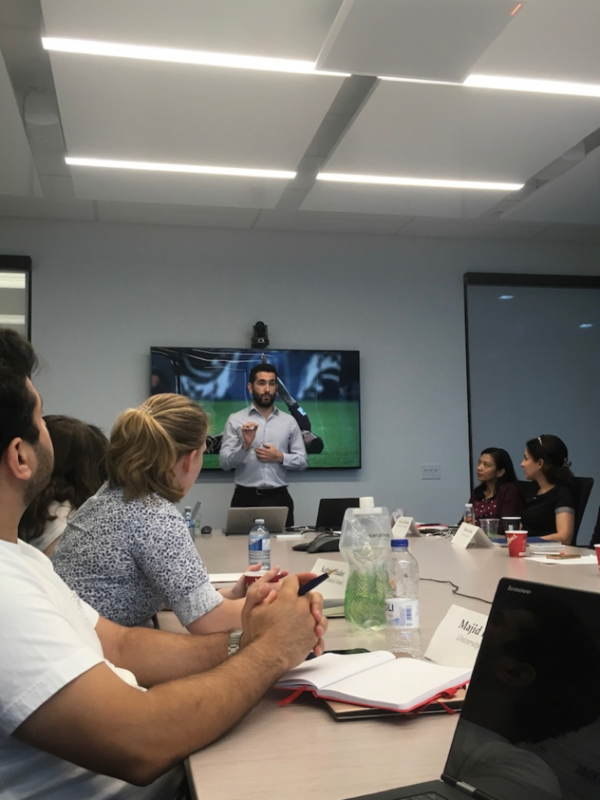 Summer By Design is an international workshop hosted by the University of Toronto’s Medicine by Design initiative in partnership with CCRM and the Rotman School of Management. The program brings together PhD candidates and research personnel from around the world to learn from leading experts about clinical translation and commercialisation of regenerative medicine as well as provide opportunities such as activities for participants to network and share their knowledge. CCRM Australia was proud to sponsor Sebastian Eggert from the Institute of Health and Biomedical Innovation at Queensland University of Technology and Jasmine Wilson from the University of Adelaide, whose research is supported by the CRC for Cell Therapy Manufacturing, to attend the Summer By Design workshop in July 2018. Both Australian representatives felt that their experiences were invaluable, taking away key learnings to incorporate into their current research as well as new ideas and potential future collaborations. When speaking of the experience, Jasmine explained that she was “incredibly surprised, if not shocked, at how many potential therapies failed due to poor business acumen, where researchers fail to separate their research goals from their business goals, leading to a failing in pathways to market with diminished investment for their product.” For Jasmine, the experience gave her the opportunity and insight to look at cellular therapies from a business perspective. In collaboration with the Industry Mentorship Networking in STEM (IMNIS), CCRM Australia was proud to launch Australia’s first international mentoring program designed for Australian PhD students in regenerative medicine. “The CCRM Australia-IMNIS International Mentoring Program provided PhD students with a unique opportunity to be mentored by an internationally-recognised, executive industry leader working in the regenerative medicine sector” explained Silvio. The mentors involved in the program come from across the globe including the UK, USA, Israel and Canada. Five exceptionally qualified candidates from across Australia participated in the program in 2018, where they interacted with their mentors through monthly teleconference meetings. Silvio described the purpose of these interactions as being an opportunity to provide students with real-world insight into the regenerative medicine industry as well as potential professional careers. “Essentially, this program will enhance the professional development and knowledge base of early career researchers”. The design of this program also provides the opportunity for mentees to meet face to face with their mentors. 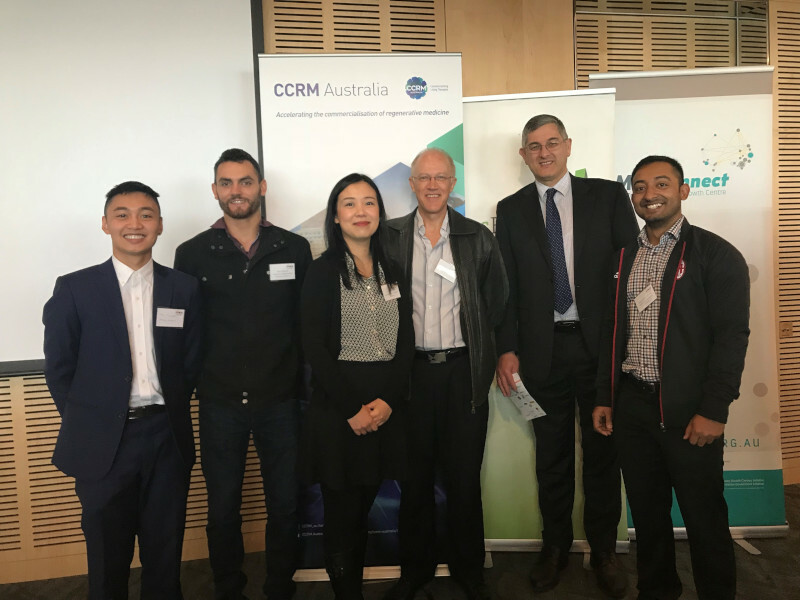 Through a CCRM Australia-IMNIS International Mentoring travel award, students were supported to attend a relevant regenerative medicine industry event – and connect in person with their mentor. Looking to the future, CCRM Australia will continue its vision by being a facilitator in training the future workforce in regenerative medicine to ensure dynamic business leadership.